Where is Tenerife? What is Tenerife? 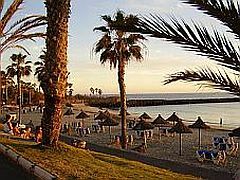 Well, it's the largest of the seven Canary Islands, which are officially part of Spain, yet find themselves lying in a very nice sub-tropical area just off the west coast of Africa. I lived on this island for eleven years and decided to create this website to be as complete a resource as possible on every aspect of it. It's very much an ongoing project! For many Europeans, this small island is a perfect holiday destination, with year-round temperate climate, loads of commercial attractions, plus breathtaking scenery. 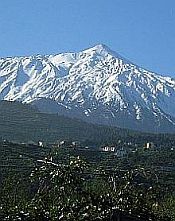 It also holds the distinction of containing the highest point in the whole of Spain, the summit of Mount Teide, the volcanic peak at its centre. As a resident for just over a decade, I feel that I have become privy to loads of useful information, which this website can now pass onto you. 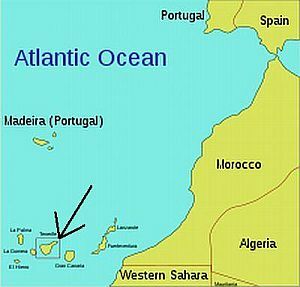 My stint on the island lasted from 1992 until 2003, during which I worked as an entertainer in various bars and restaurants. (If you want to see a really cheesy publicity photo of me from then, click on the "About Me" link.) I experienced all the different sides to the island and got to know all sorts of useful information. I decided to put it all into one place - and here's the result: my Information Centre! 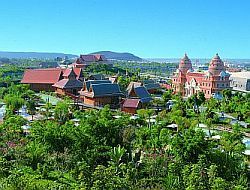 You'll find comprehensive information on the usual stuff: car hire, hotels, self-catering accommodation, attractions, etc - but this website goes much further than that. It provides details on absolutely anything you may want to know about the island. Though I am to sport what The Incredible Hulk is to ballet, my Information Centre has a section dedicated to this. 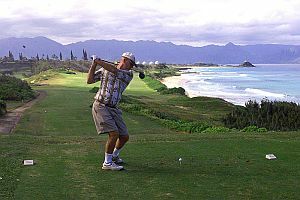 There are loads of sporting activities in which you can participate, or just be a spectator. Where did celebrities stay when they visited the island? What restaurant did they use? 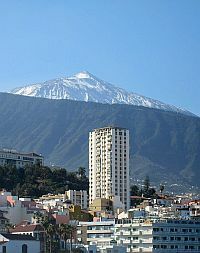 The Tenerife Information Centre is a constantly evolving site, with pages added on a regular basis. To keep up to date with developments, why not become a Facebook fan, by clicking the "Like" button at the top or bottom of the right column. You'll receive posts whenever a new page appears, or one is updated. Alternatively, follow the website on Twitter, or subscribe to one of the RSS feeds at the bottom of the left column. Meanwhile, happy browsing and I hope my site will help make your Tenerife experience that much richer.